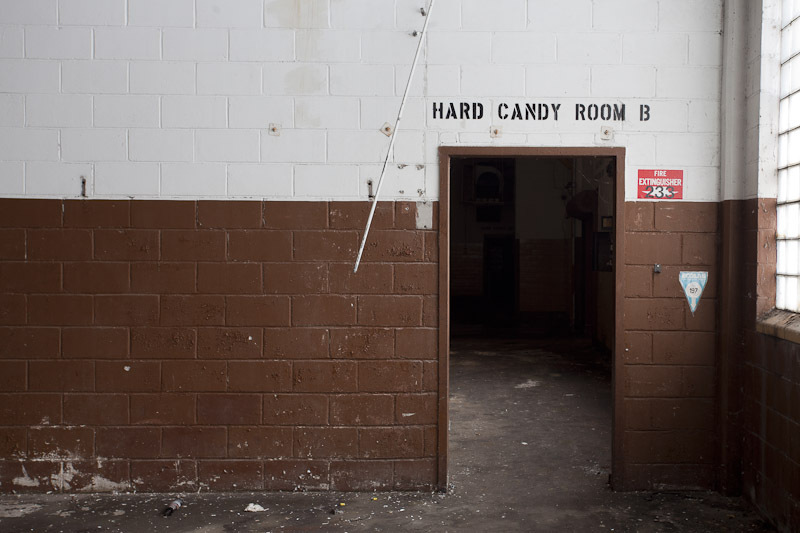 The Sander's name has a long history with the candy and confectionary business, dating back to 1870's when Fred Sanders opened a soda counter on Woodward Avenue. 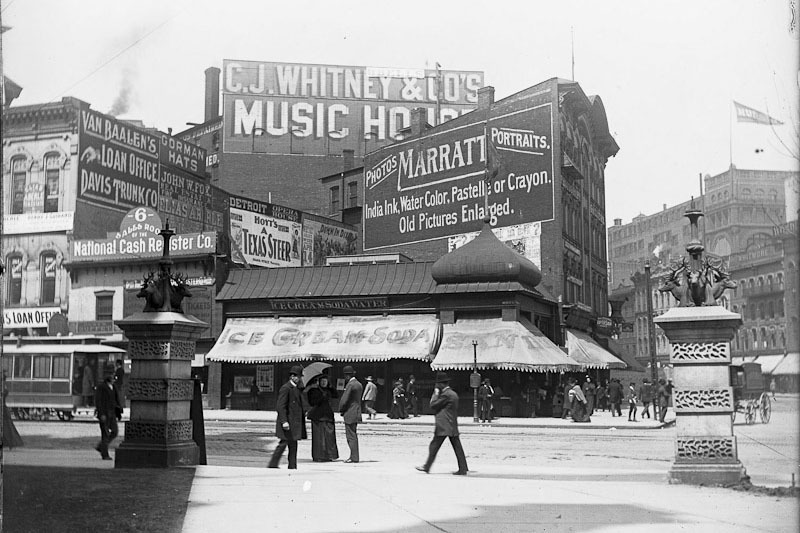 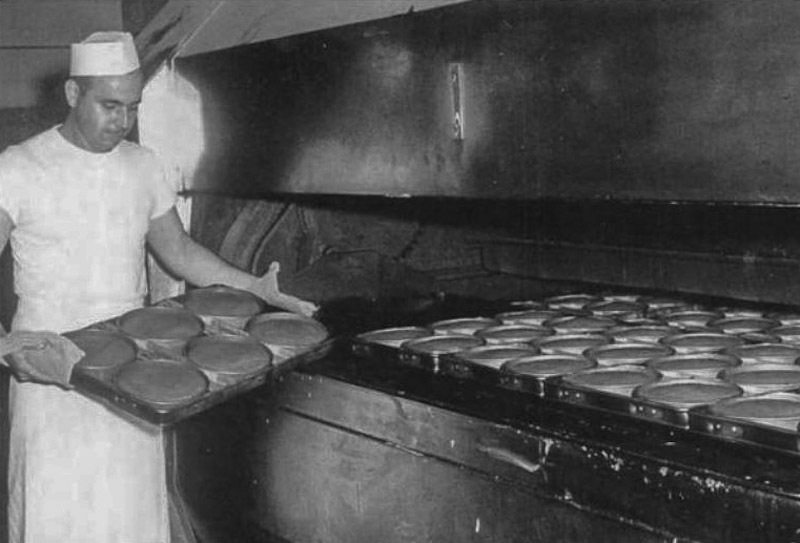 A business that started with candy evolved to include ice cream, sundaes, and baked goods such as cakes and pies. 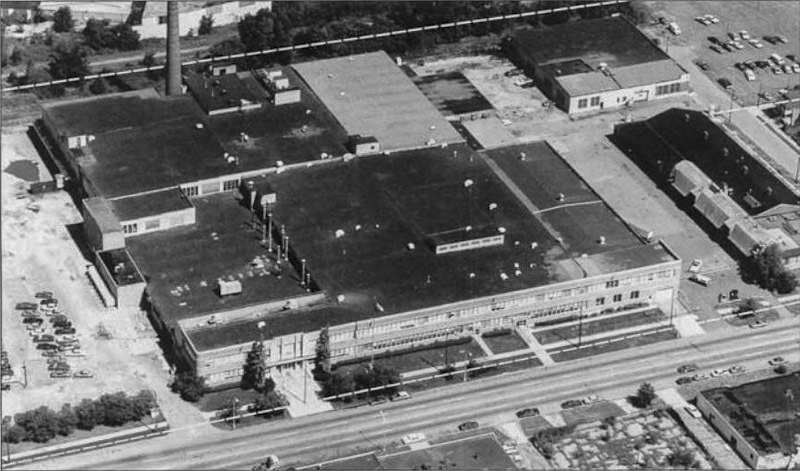 From his first location on Woodward Avenue, Sander's would expand to over 50 stores and many supermarkets throughout the Detroit area by the 1960's. 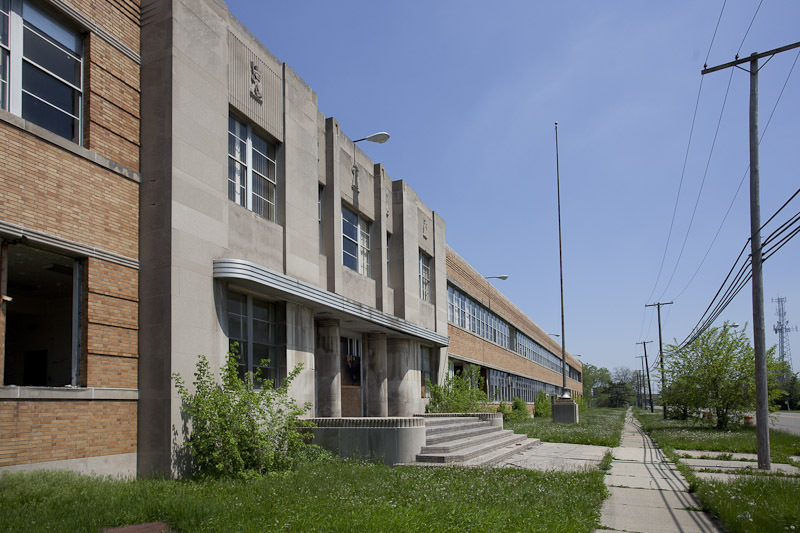 To supply these stores, Sander's moved its operations in 1941 to a two-story plant on Oakman Street in Highland Park. 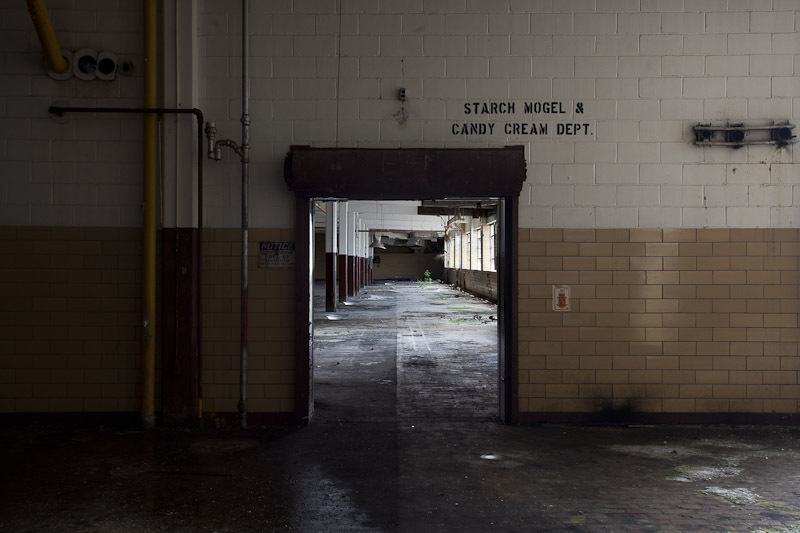 The plant turned out fresh-baked products for over 50 years, until hard times forced the company sell off to Country Home Bakers in 1988. 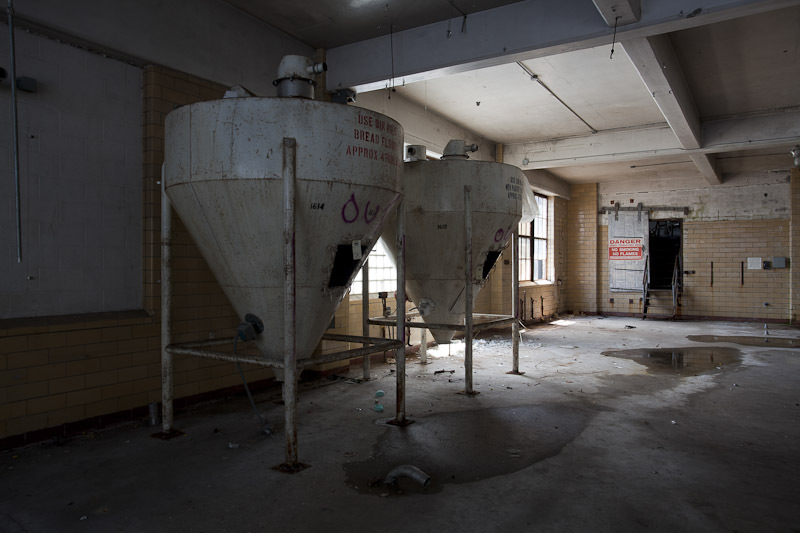 They continued making products there until 1995, when the plant closed and was sold. 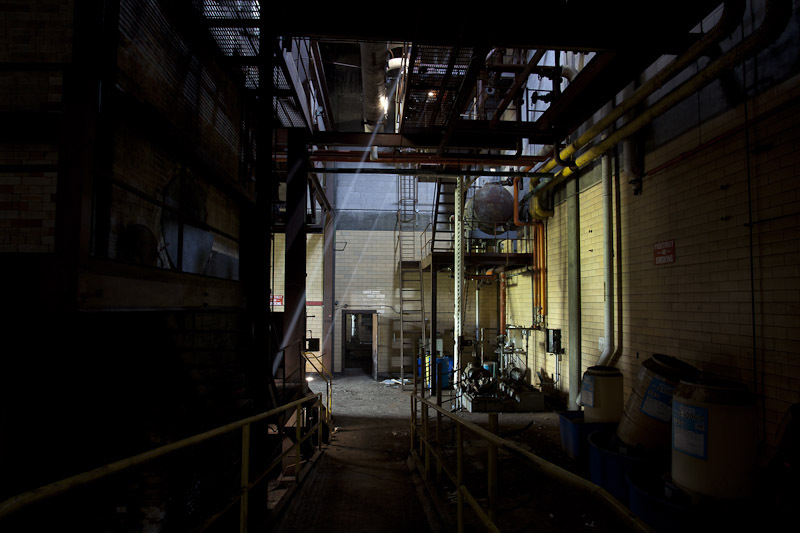 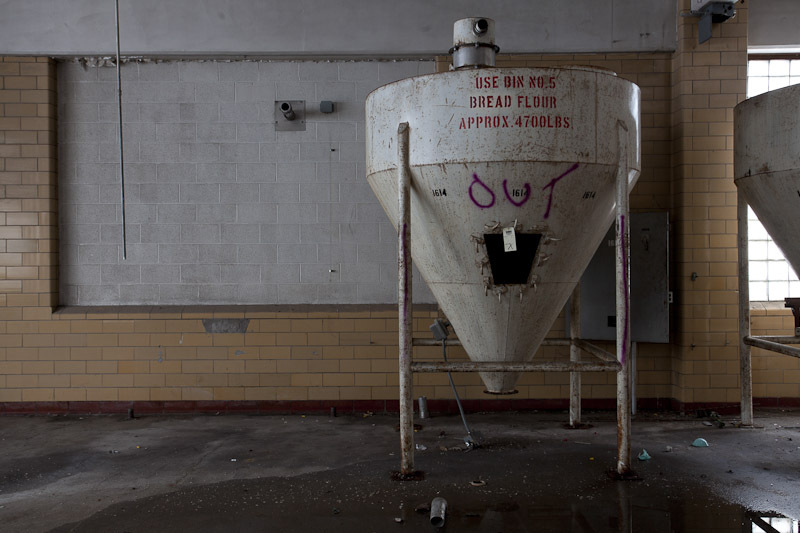 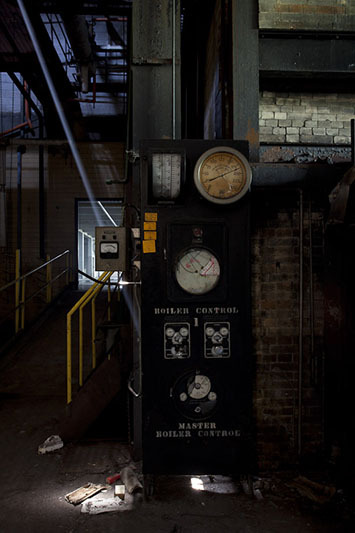 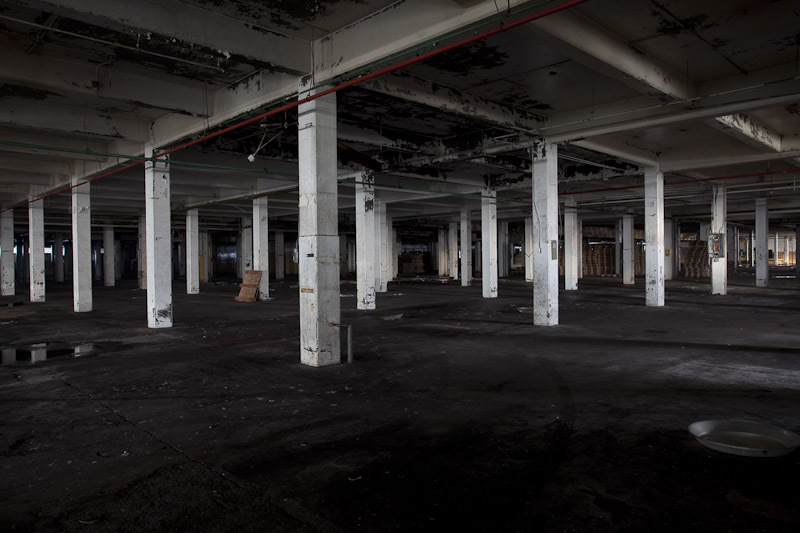 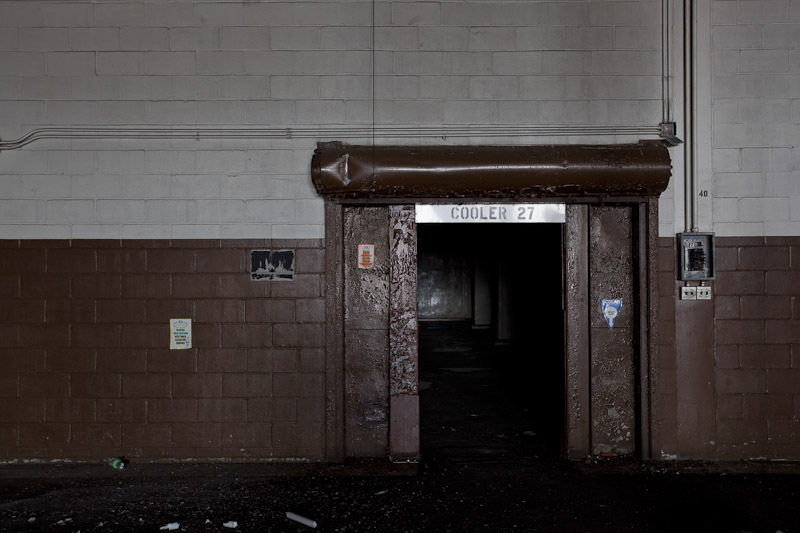 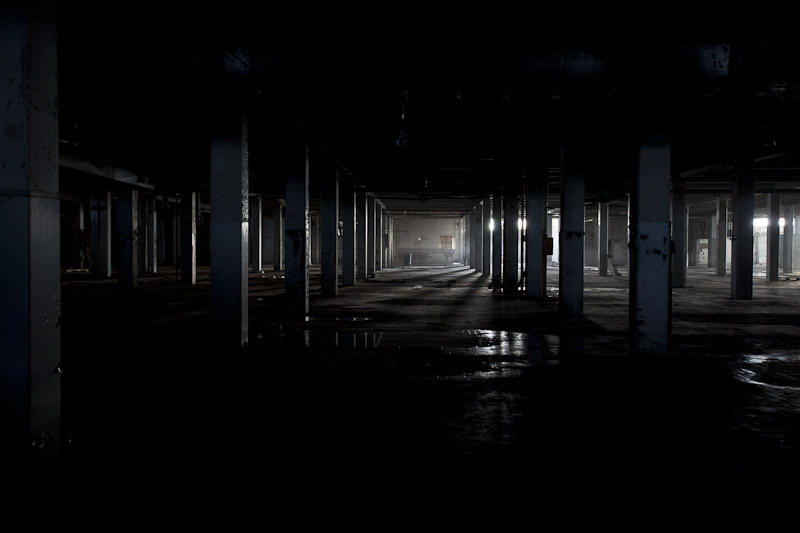 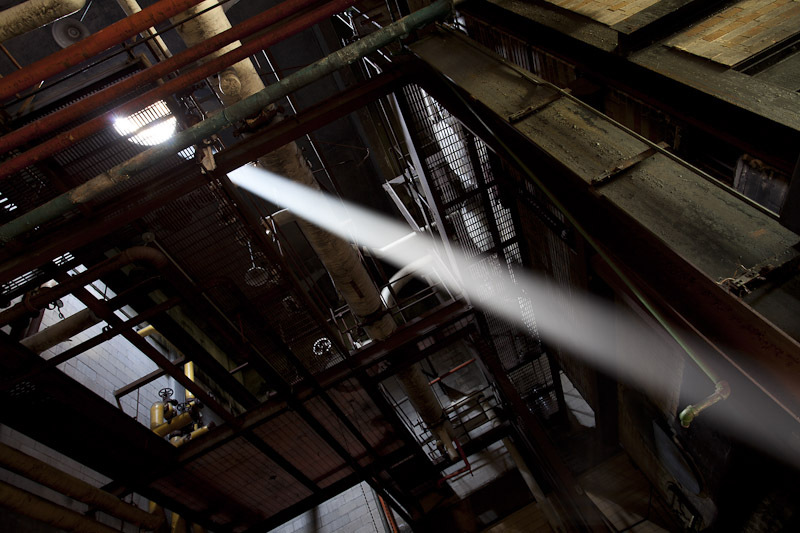 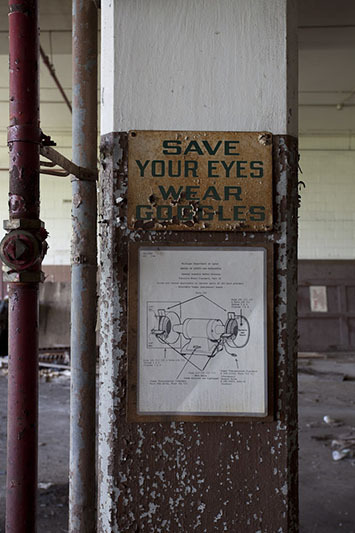 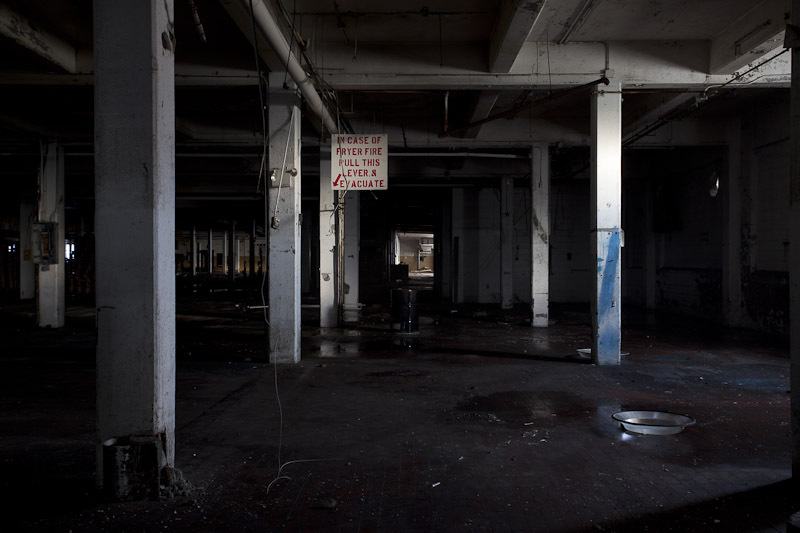 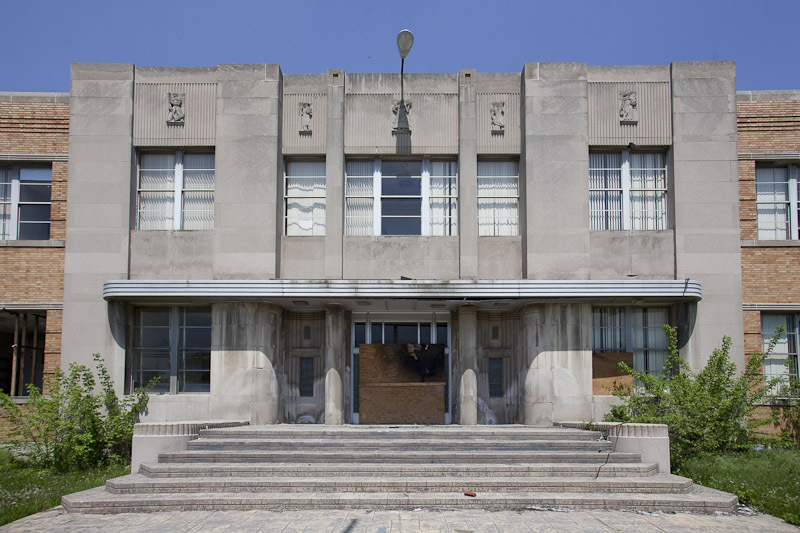 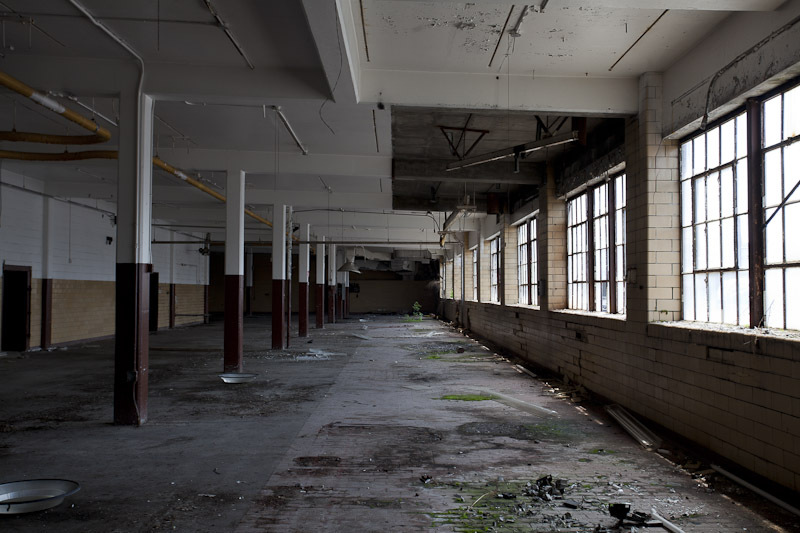 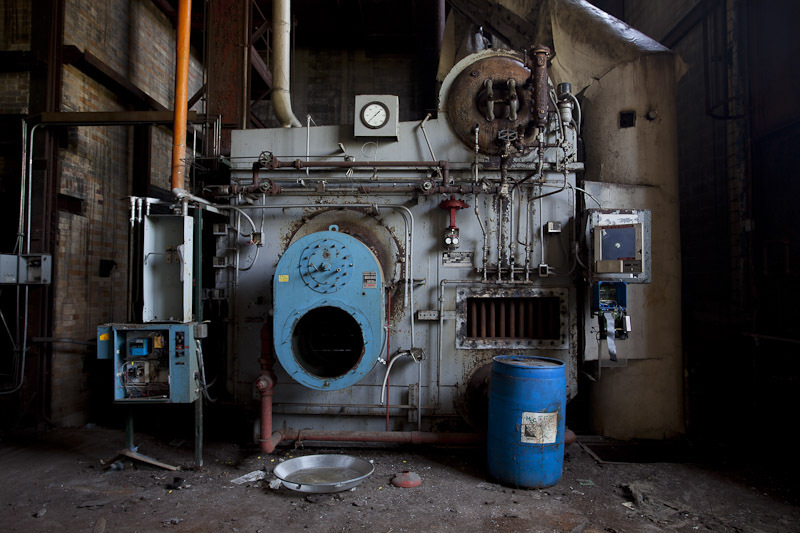 While the Sander's name continued on and has even begun to make a comeback, the Oakman plant was used as a warehouse, most recently by a recycling company. 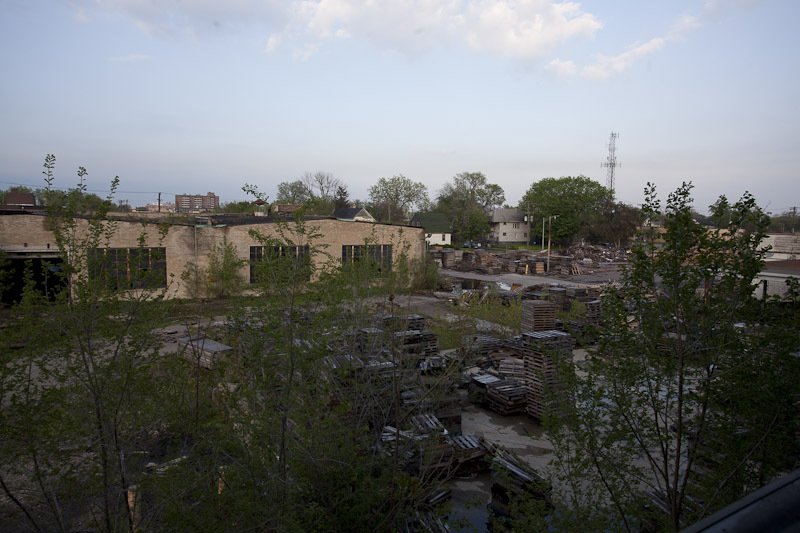 Sometime after 2009 the single-story brick building on the east side of the property was torn down, and the remainder of the plant vacated. 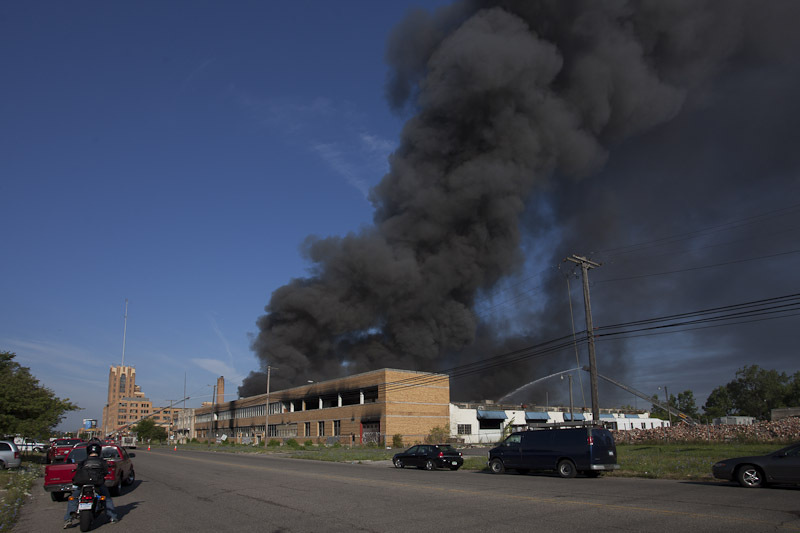 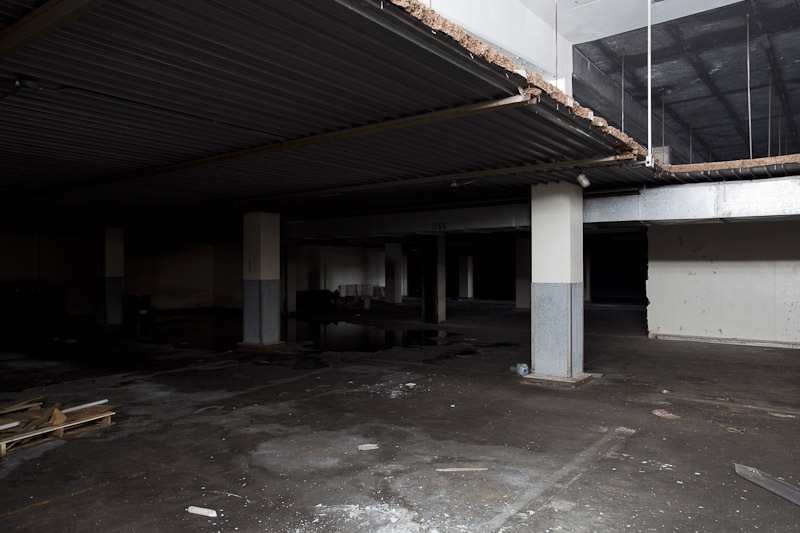 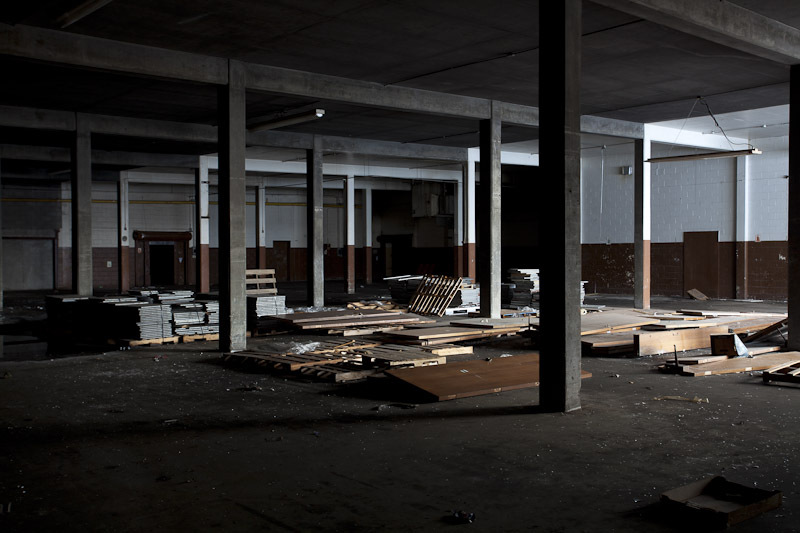 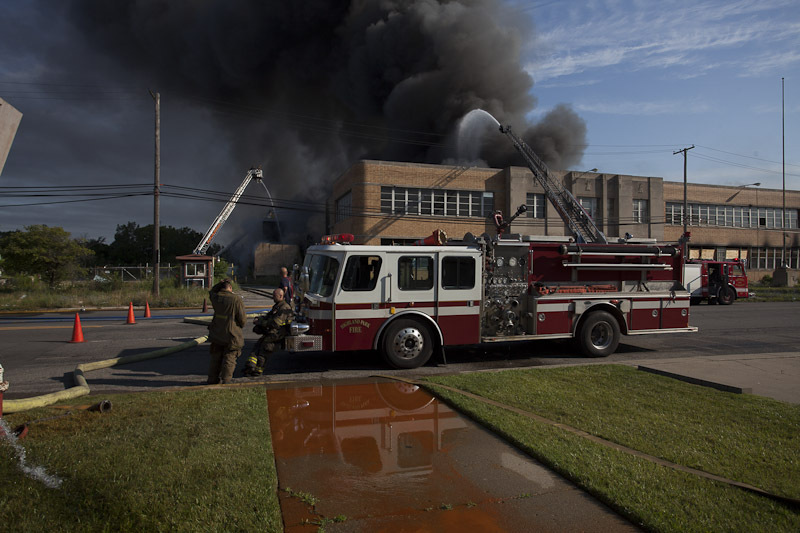 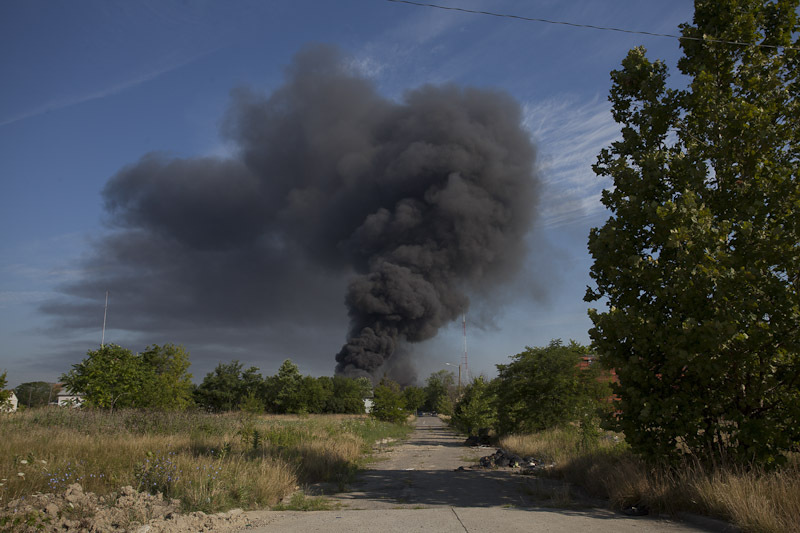 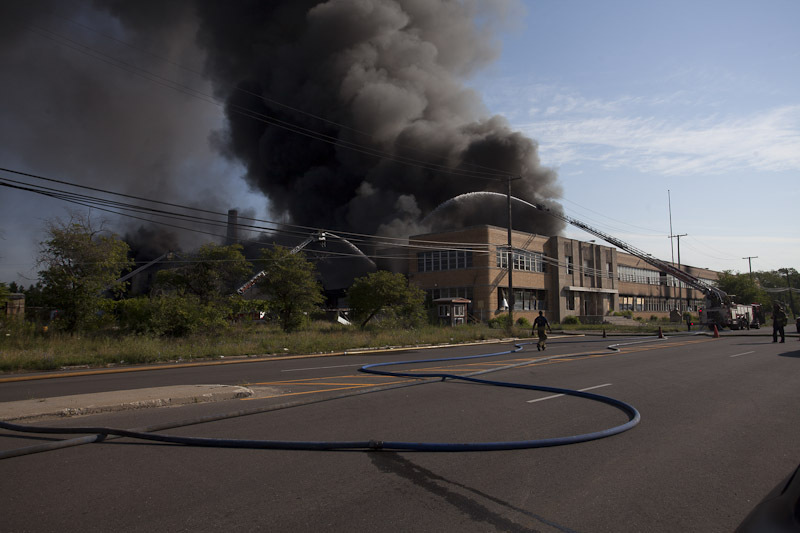 A July 14th, 2012 fire burned for over 20 hours and destroyed much of the warehouse space, while sparing the front offices. 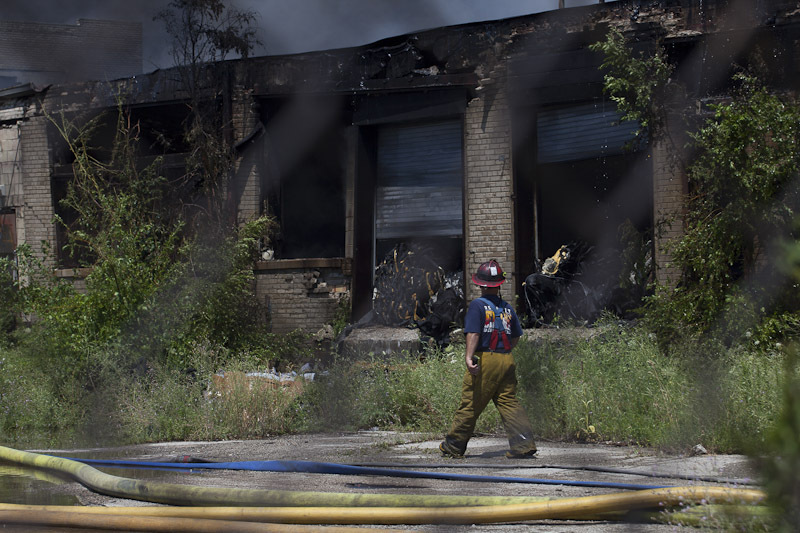 Though the structure was fireproof, the last occupant had left behind thousands of wood pallets and tons of recyclable material like cloth and cardboard. 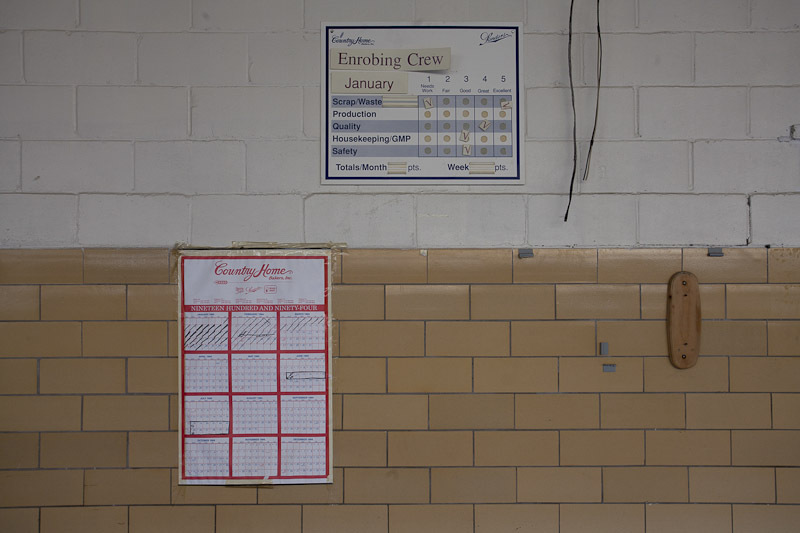 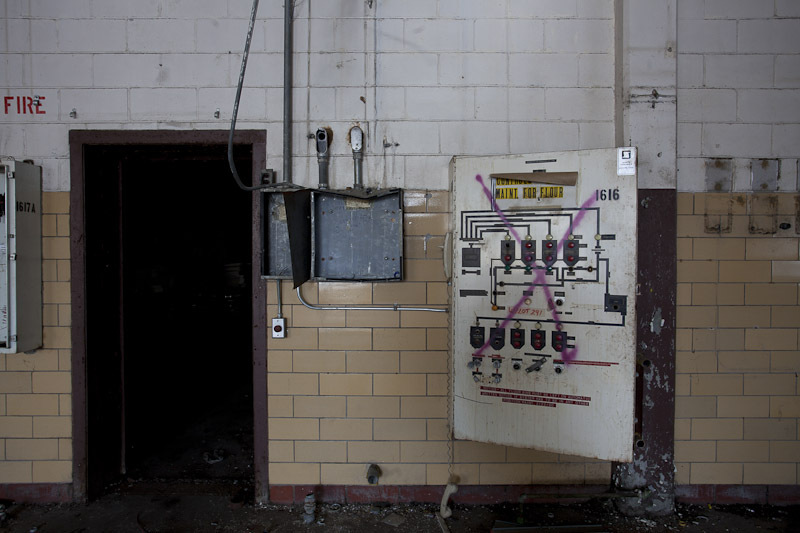 As recently as 2011, a new owner had discussed repurposing the plant with the hels of historic tax credits, but nothing came of it.